Thimath’s first birthday this month is set to be very special. “We have planned a big celebration with our close friends,” beams his mum Krishani, from Ely. 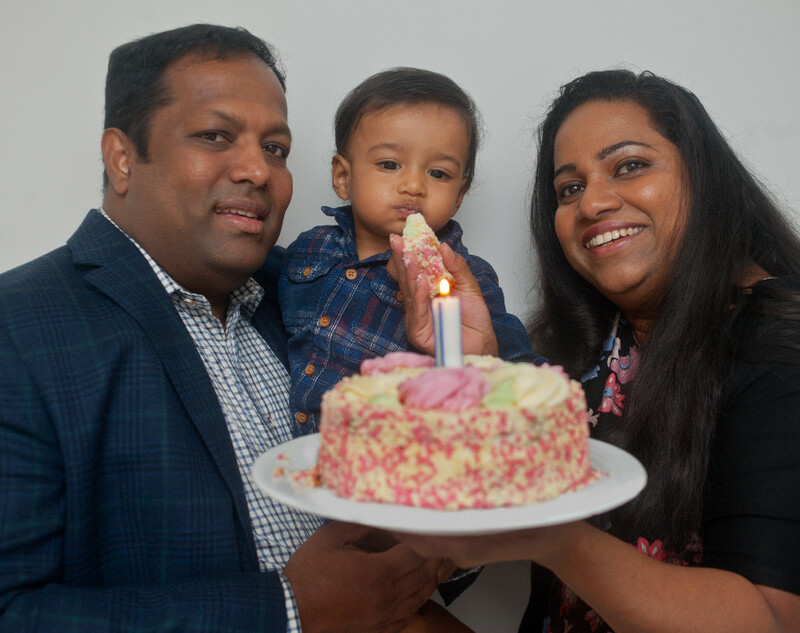 His parents tried for 14 years to have Thimath, who was born last year following fertility treatment at Bourn Hall Clinic in Cambridge. Speaking ahead of Fertility Week 2018, which runs from 29 October to 4 November, Krishani, now aged 39, encourages others to get advice as early as possible if they are struggling to conceive. “We first started trying for a child as soon as we got married when I was 24,” she says. Krishani sought medical advice and was prescribed an ovulation induction drug and advised to lose weight. “I found it really difficult to reduce my weight,” she says. In 2007 Krishani and her husband Prasad moved from their native Sri Lanka to the UK so that Prasad could study for a Masters at Anglia Ruskin University in Cambridge. Krishani went to see her GP to talk through her fertility concerns and was put back on clomid. She was still finding it impossible to lose weight and was referred to an endocrinologist who diagnosed her with insulin resistant syndrome. Insulin resistance affects a person’s metabolism and is linked to a number of health disorders such as diabetes, heart disease, obesity and polycystic ovary syndrome. Her new regime worked and within six months she had lost two stone. However, hospital tests also revealed that both of her ovaries were polycystic and the couple were told that their best chance of conceiving was with IVF. The couple went to Bourn Hall Clinic in Cambridgeshire and their second cycle of treatment was successful. On October 21 last year, Thimath was born. 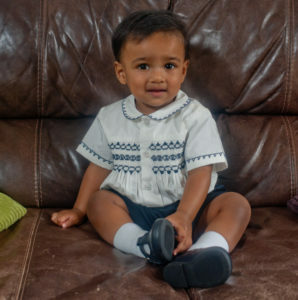 “He was a little bundle of joy,” smiles Krishani. Krishani feels that her diagnosis of insulin resistant syndrome was key in her journey to motherhood and she urges anyone worried about their fertility to get advice sooner rather than later. See more about the Fertility Fayre at Bourn Hall Cambridge on the event page here. We are offering the opportunity for a free consultation with one of our friendly fertility nurse specialists – see more details here. Bourn Hall is also offering attendees half price Fertility Health +Wellbeing checks – these include a suite of tests and a consultation with a fertility specialist doctor that can provide information about reasons for infertility within a few weeks. More information about this special offer can be found on our blog.